Prime Minister Lee Hsien Loong will host Indonesian President Joko Widodo at a Leaders' Retreat in Singapore tomorrow, as their two nations mark 50 years of bilateral ties. This would also be President Joko's second retreat with PM Lee in as many years, as the two leaders look to take relations forward. Diplomatic relations between Singapore and Indonesia were established on Sept 7, 1967, and a series of activities to commemorate the milestone has been organised around the theme of "Trusted Partners, RISING Together". RISING50 is an amalgamation of "RI" for the Republic of Indonesia and "SING" for Singapore. A highlight of the retreat will be a fly-past by fighter jets from Singapore and Indonesia, which will take to the skies over Marina South tomorrow afternoon. To mark the golden jubilee of bilateral relations, the F-16s will form the numeral 50, in a historical first that involves aircraft from the two air forces. The fly-past will be witnessed by PM Lee and President Joko, who arrives in Singapore today. The Prime Minister's Office said in a statement that the fly-past "underscores the close working relationship and excellent defence ties that the two militaries have built up over the decades". President Joko is accompanied by First Lady Iriana and a high-level delegation, which will meet its Singapore counterparts comprising Deputy Prime Minister Teo Chee Hean and other Cabinet ministers. Before the meetings, PM Lee and Mrs Lee will host President Joko and First Lady Iriana to a private breakfast at the Singapore Botanic Gardens, and later an official lunch with the Indonesian and Singapore delegations at the Istana. During the retreat, the two leaders will exchange views on regional and international developments, review the progress of bilateral relations, and explore new economic collaboration, security cooperation and cultural exchanges. Later in the afternoon, PM Lee and President Joko will attend the Singapore-Indonesia Investment Forum held at the Marina Bay Cruise Centre, where they will also meet members of the Indonesia-Singapore Business Council, which was set up on July 28 following discussions at last year's Leaders' Retreat. Singapore and Indonesia have largely enjoyed warm bilateral relations, which have been underpinned by strong economic ties. Last year, bilateral trade between the two markets reached $56.1 billion, while Singapore has consistently been among the top five investors in Indonesia since 2001. The city-state has also been its close neighbour's top foreign investor in all but one year since 2011. Both were also founding members of Asean in 1967, which was a key turning point in relations post-Konfrontasi - a period of conflict from 1963 to 1966, marked by Indonesia's opposition to the formation of Malaysia. Bilateral relations have been tested in recent years, over issues such as airspace control, the transboundary haze and claims that Singapore is a haven for wealthy Indonesians to hide their assets. 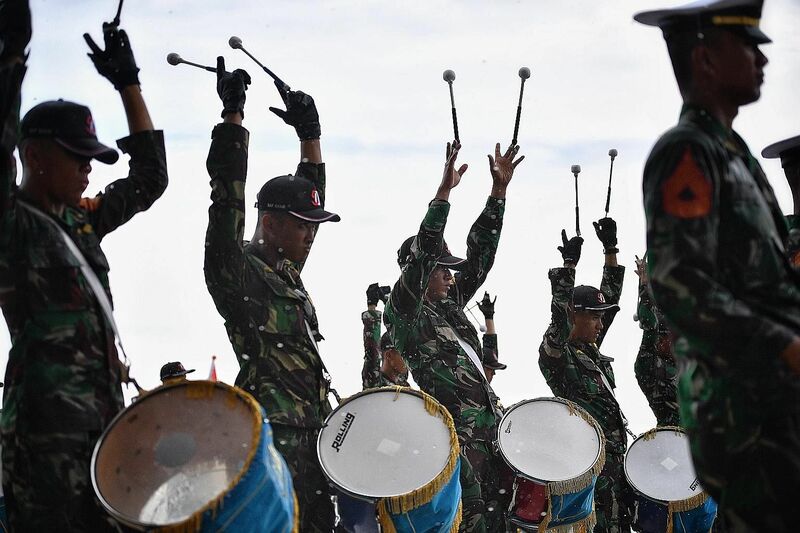 But observers such as Mr Keoni Marzuki say that despite the episodic tensions, harmonious bilateral ties for their mutual benefit were maintained. "Notwithstanding the occasional strain in relations, Indonesia and Singapore developed robust cooperation in defence and security matters... thus enhancing mutual confidence and trust," said the senior analyst from the S. Rajaratnam School of International Studies. This includes Singapore deploying its military for humanitarian assistance and disaster relief during the 2004 tsunami in Aceh, the search-and-rescue efforts after the 2014 crash of AirAsia Flight QZ8501 into the Java Sea and firefighting operations in Sumatra in 2015. Last November, PM Lee and President Joko inaugurated the Kendal Industrial Park in Semarang, Central Java, where the first Leaders' Retreat between them was held. The joint venture by Indonesia's Jababeka and Singapore's Sembcorp has since attracted 32 firms, which will invest US$475 million (S$643 million) as well as create over 1,800 jobs, once the park is fully operational.